The Butterflies studied transportation for the first three weeks of April. The children came up with a list of all the types of transportation they could think of. We added to the list each day as they discovered more and more means of transportation. 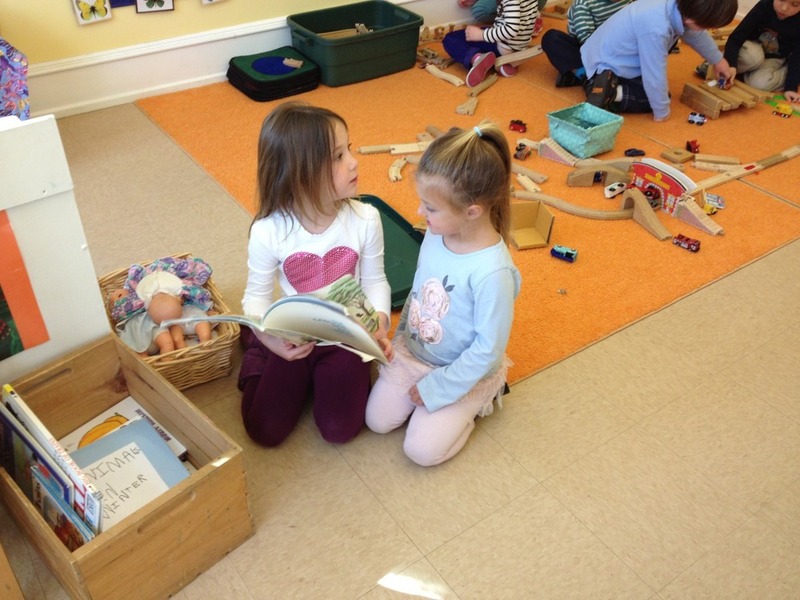 We read lots of great books including If I Built a Car by Chris Van Dusen. 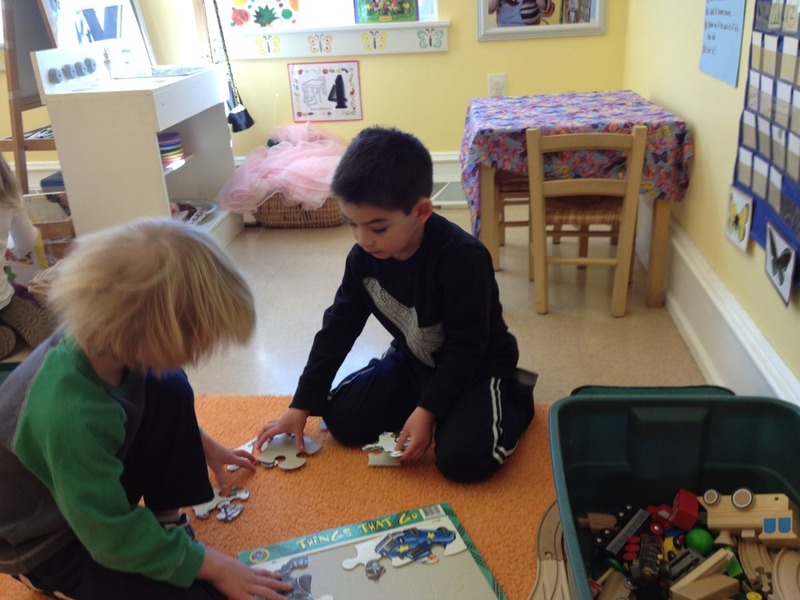 After we read the book, the children designed and built their own cars, which will be displayed in the Art Show at the end of the school year. We also made taxis out of play dough, helicopters out of paper and boats out of foil. The foil boats were used to transport pennies. Before we made the boats the children estimated how many pennies their boats would hold without sinking. Then they constructed the boats and we found out exactly how many pennies each boat held. We played several games with transportation themes including “Roads, Rivers and Rails” and License Plate Matching. Both games were excellent for enhancing visual discrimination skills. “Rivers Roads and Rails” is challenging and I would recommend it if you are looking for a new game for your child. 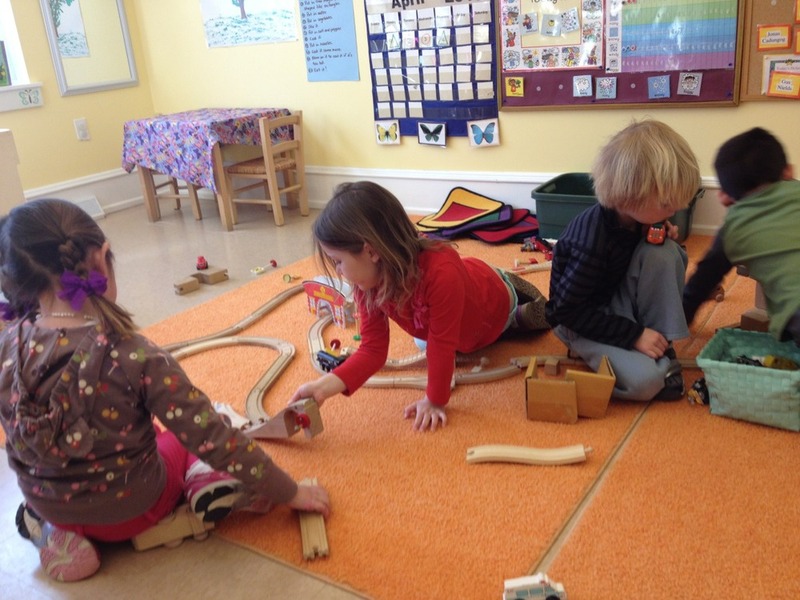 Small groups of children were taken to the Meeting Room to build ramps. They experimented to determine which kinds of surface and which degrees of incline made the best ramps. Next they tried different types of vehicles to see which went the farthest. 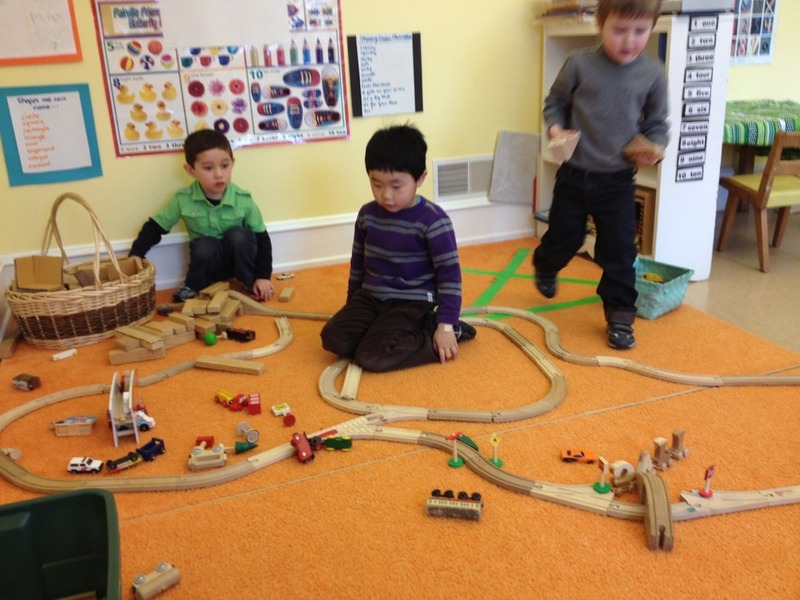 One group even built two ramps and had their cars doing jumps between them. Luckily, the weather got nice enough for us to start using the bike trail again. The bikes are a little bit big and a little bit heavy and there is a hill right at the start of the trail, so the riders have to work hard to get going. But the good news is, the end of the trail is downhill!